Back in 1982, Blade Runner revolutionised the science fiction genre. This year, after 35 years of waiting, fans stormed the theatres across the world to watch the sequel, Blade Runner 2049. Like the original, the films stuns with cinematographic effects and impressive film sets from deserted landscapes, dystopian cities illuminated by neon lights and futuristic architecture. We compiled a list of places in Germany that could be straight out of Blade Runner. The modern conference and office building was designed by the British Nicholas Grimshaw in the mid-1990s and is also known under the nickname ‘Armadillo’. Fifteen elliptical arches span across the site and support the roof of the building. 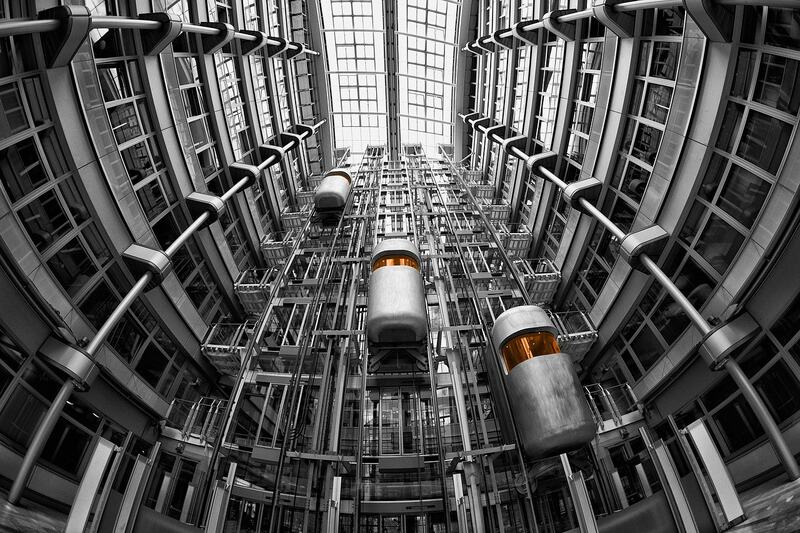 In the atrium, capsule-like elevators with orange-tinted windows take visitors to the upper levels. The building has made several appearances in German thrillers and could well serve as a future Blade Runner set. 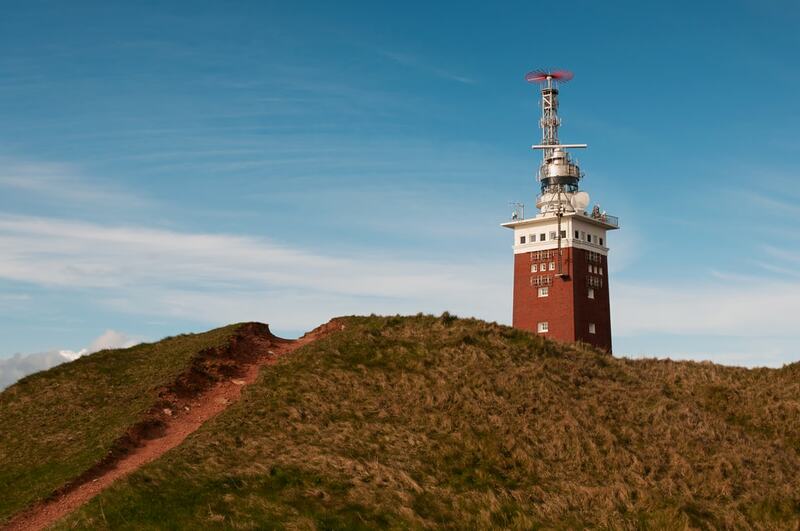 The seaside of Heligoland, Germany’s small archipelago in the North Sea, is generally speaking quite picturesque. At its northernmost tip, a concrete barrier protects the Lange Anna red sandstone rock formation from the crashing waves. A few hundred metres down the coast, a former anti-aircraft tower constructed in World War II has been transformed into a lighthouse. Stormy days create a dystopian mood that hangs above both natural and manmade landmarks. The Tempodrom is multi-purpose event space that houses two arenas and the Liquidrom spa centre. The concrete roof resembles a giant circus tent, which is owed to its founder. In 1980, a local nurse, Irene Moessinger, fulfilled her lifelong dream of buying a circus tent and hosting artsy events. Though she struggled financially and the tent moved several times in the subsequent years, private donations and government subsidies allowed for the permanent structure to be built on the site of the disused Anhalter train station. Today, the futuristic white peaks contrast the remains of the old railway station. The Devil’s Wall is shrouded in myths around a bet made by God and the Devil. If the Devil could successfully build a wall before the first cockcrow, he would be allowed to rule over the mountainous area of the Harz region. He failed to complete the wall in time and, in vain, destroyed his efforts, and the remains are today known as Devil’s Wall. 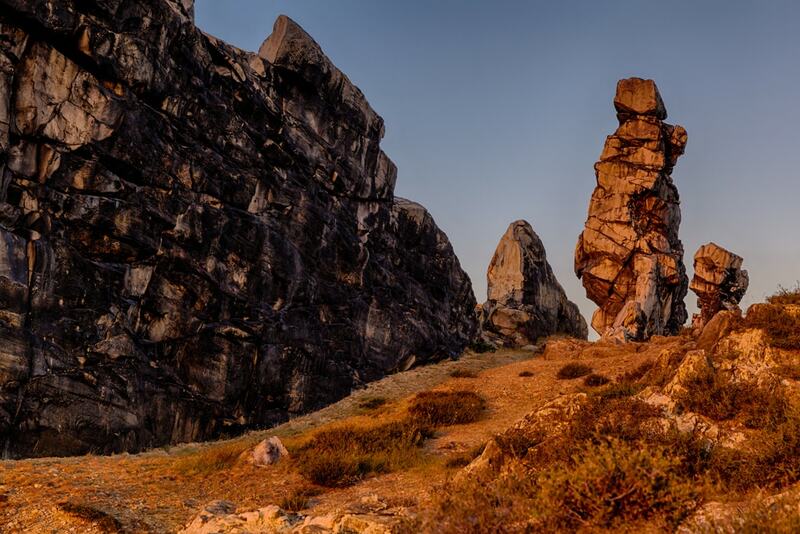 In the midst of the rugged landscape and vast open fields, the bizarre rock formations are a sci-fi set to be yet discovered. 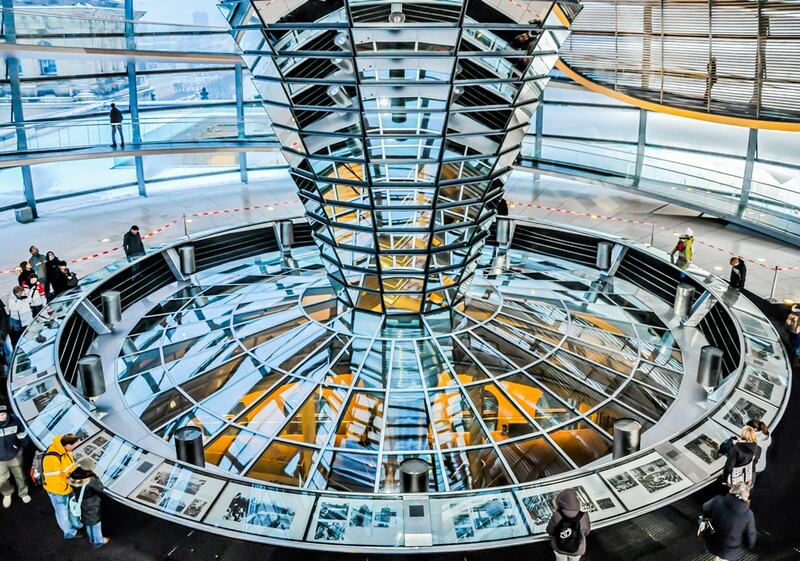 The Reichstag building was designed in the 1880s, and its four corner towers and cupola were a sensation at the time. Since its completion, it has gone through a turbulent history of wars, changes of government and a fire that destroyed the building in 1933. It was reconstructed in 1973, but when the German Parliament decided to move its seat from Bonn back to Berlin, it commissioned a redesign with British architect Norman Foster. Eight years later, the Bundestag officially took the seat in the Reichstag building, which today shows off the then praised historical elements in combination with a futuristic glass dome that allows for the flooding of the interior with light, and the ability for the public to see the Parliament at work below. 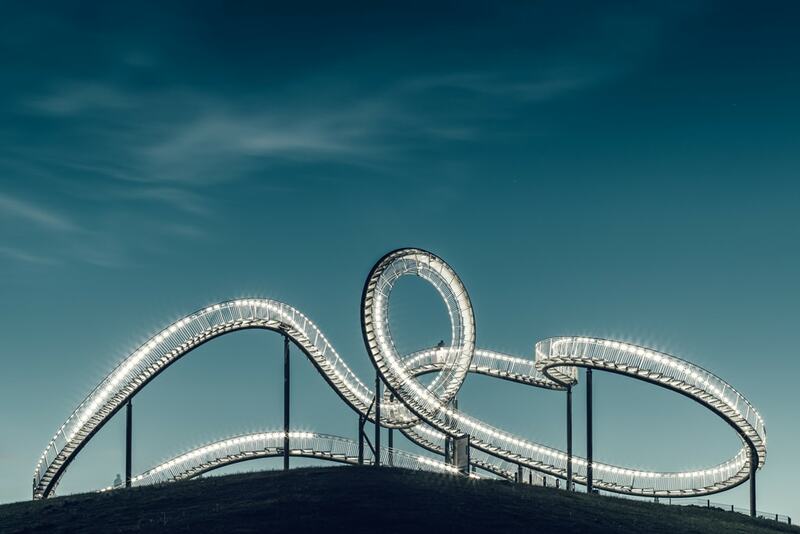 The Tiger and Turtle – Magic Mountain is an art installation in Duisburg. Two German artists, Heike Mutter and Ulrich Genth, created the structure, and from afar it looks like a rollercoaster. A closer look reveals the 240 steps that allow visitors to ‘ride’ the structure on foot –except for the loop, of course. In the evening, LEDs light up the faux theme park ride, and the whole scene looks like a surreal sci-fi film set. Star-architect Daniel Libeskind designed the striking shopping and office complex in Dusseldorf’s city centre. 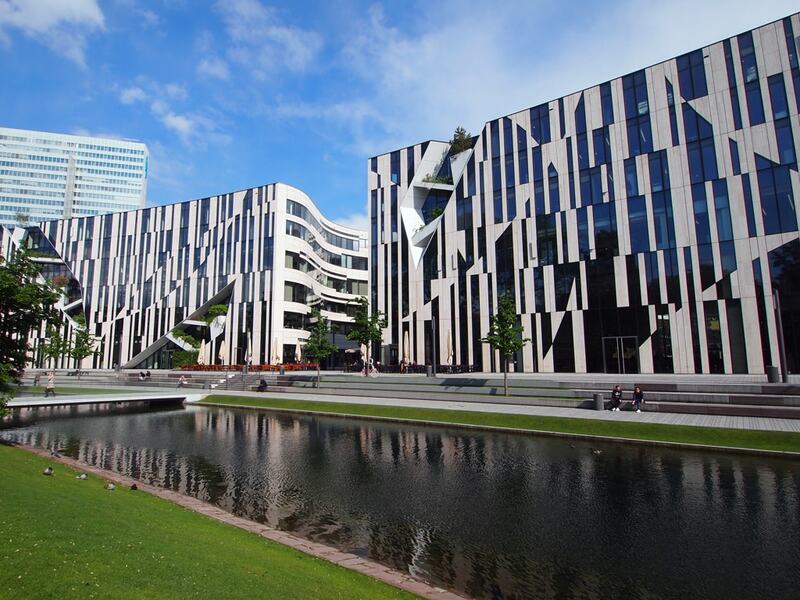 The name translates to King’s Bow and has influenced the wave-like facade of the glass-and-stone fronted structure. Libeskind is known for his modern designs of distorted geometric forms and sharp edges. In Dusseldorf, the Kö-Bogen has become a favourite hang-out spot for locals and tourists who, on sunny days, enjoy their lunch and coffee park-side of the science fiction-esque buildings. 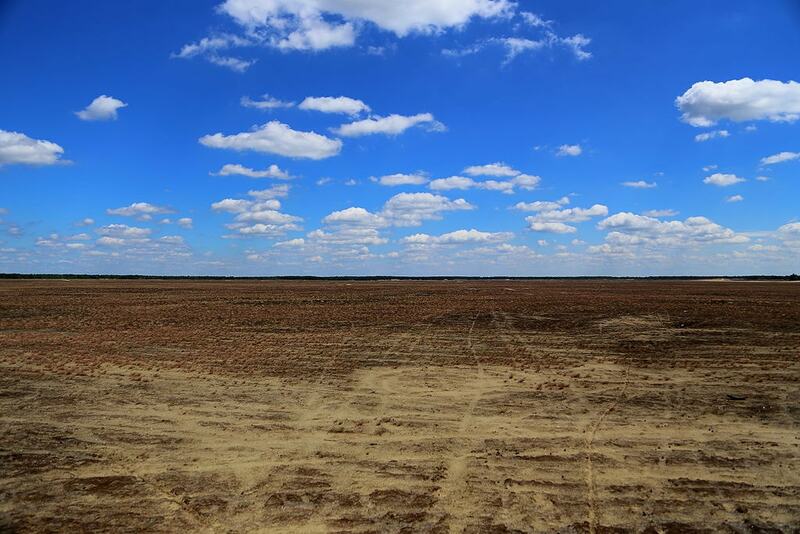 Few people know about the small desert in the Brandenburg state of Germany. The desert developed after a vast forest fire that obliterated all vegetation in 1942 and was later used as a military training area by the Soviets, which didn’t allow for much of a recovery. The dystopian landscape is surrounded by pine trees and is today managed by a charity. Imagine hot winds and orange sand whizzing across the plains of Lieberoser Wüste and broken statues of bygone eras scattered around the empty fields, and you the scene is set for Officer K.
Massimiliano Fuksas designed the MyZeil Shopping Centre as part of Frankfurt‘s Palais Quartier and provides the city’s most futuristic shopping experience. The otherwise perfectly straight steel and glass front is disrupted by a vortex that seemingly pulls you inside. Black holes, the space-time continuum and time travel are some of the associations you might have, and the futuristic elements continue through the rest of the structure. Approximately 120 kilometres east of Dortmund, the Diemelsee Dam spans across the lake. 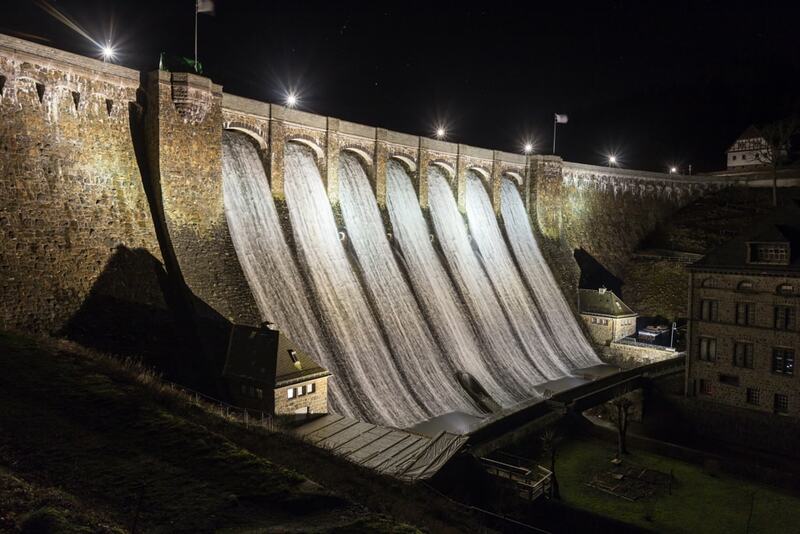 As soon as it gets dark, floodlights shine on the massive arched concrete wall and the masses of water that cascade down into the basin, making for a neo-noir vibe that could well have set the stage for the epic battle between Officer K and replicant Luv. World War II bombing raids turned the area around Berlin’s iconic Potsdamer Platz square into rubble and led to it lying idle until 1961, when the Berlin Wall cut halfway through the square and divided Berlin along with the rest of Germany. The Wall came down 28 years later, and to revive the area, significant redevelopment projects converted Potsdamer Platz into Europe’s largest building site. In 2000, the Sony Centre at Berlin was opened to the public. 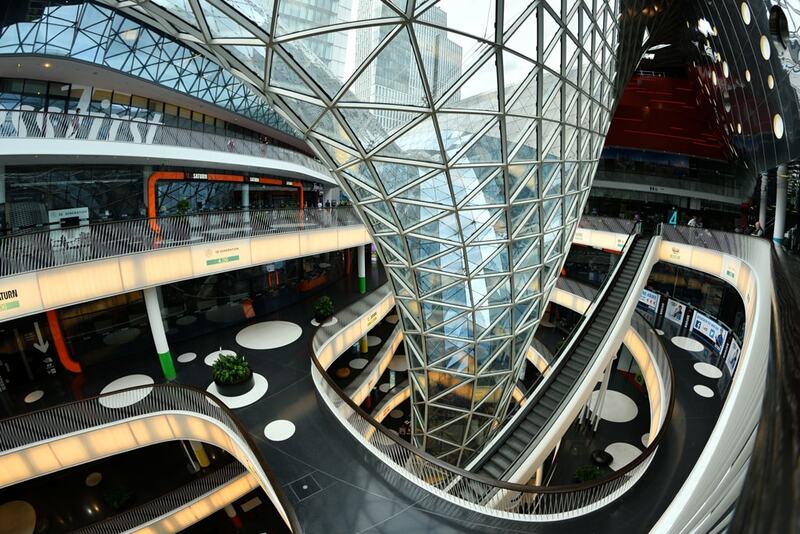 The futuristic glass and steel complex is composed of an IMAX theatre, shops, restaurants, bars and cafés. At night, the tower and the cupola-like roof are illuminated by bright neon lights that, in David Suzuki’s words, create a ‘vision of cyberpunk, corporate urban future’. Need more reasons to visit Germany? Check out our list of 17 Magical Places in Germany That Are Straight out of a Fairy Tale.